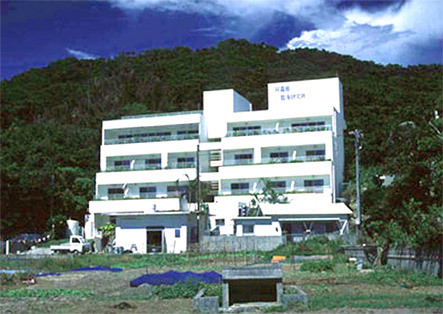 Akajima Marine Science Laboratory (AMSL) is a private institution which was established in 1988 under the auspices of the Science and Technology Agency, Japan. At AMSL, basic studies on the reproduction and recruitment of corals and some technical and practical experiments concerning the restoration and remediation of coral reefs are being carried out. A number of scientists from Japan and abroad visit AMSL every year for research on the conservation and effective use of coral reef ecosystems. Tom Moya-reef, a coral reef, which emerge in a U-shape in the off of Akajima Island in the south of Kerama Islands.